All of this is 100% true. 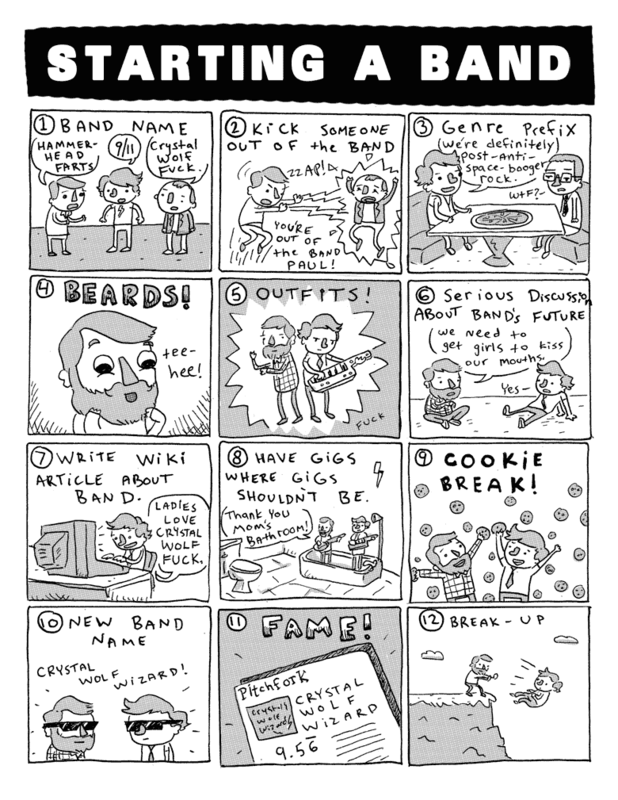 If your band didn’t go through this exact process then they do not exist. I’m looking at you Five for Fighting. No mention of music. That about says it all!! I gotta say that’s almost completely accurate, there was no wikipedia when i had a band, and our level of fame is questionable, but other than that you’re right on bro. I also enjoy KC Green. i want to give you a recomendation. in permalinks in wordpress is better to set it as %postname% in custom. that p=13 isnt google friendly and to post it in facebook no very trustable for many eyes. One missing step: the band is labeled a sellout if they start attracting fans that are richer / more attractive / cooler / etc than the original fans. i’m pretty sure the bands that go through this “exact process” also don’t exist. after all, the last step is to break up. Great ! Just shows how far down western civilization has fallen on the musical evolutionary ladder. ha ha , its funny as hell. shared in facebook too. many of my friends laughed . Hey, what the hell? WE never got cookie breaks! I had 3 stages of beard growing. Beards are important to Tickle Tea Party. And Wiki says we rock. This cartoon made me hurt myself laughing… at myself unfortunately. Been there and done that almost exactly as you drew it. Clearly, Black Crystal Wolf Kids (facebook.com/blackcrystalwolfkids) have been following instructions.